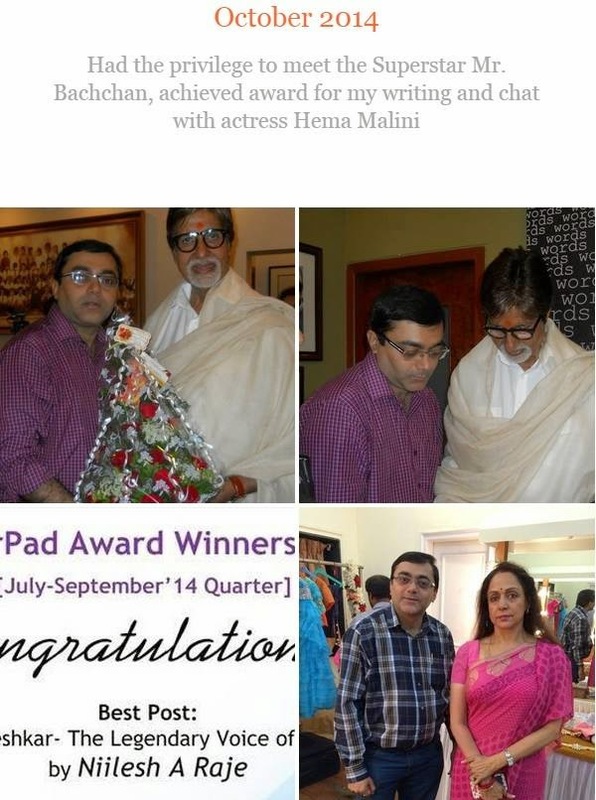 Defining Moment 2014 - Had the privilege to meet the Superstar of the Millennium Mr. Amitabh Bachchan on his Birthday. Won the Best Article Award for my piece on Lata Mangeshkar and freewheeling chat with Dream Girl actress Hema Malini . . .